← 52 Weeks, 52 Runs. No. 44: Quick, call the help desk! 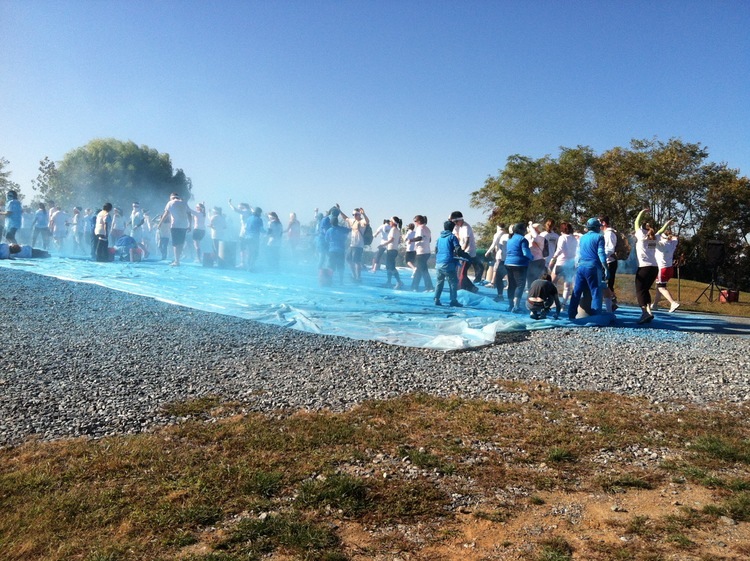 It occurred to me soon after I started Stride & Joy that one of the requirements of the runblogosphere is that you MUST participate in at least one Color Run. Two if you want to be taken really seriously. I kid. I do admit that the run appealed to me. But I’m not sure why. I wouldn’t have thought being sprayed with colorful crap would be that enjoyable. But I was completely sucked in by the marketing: Happiest 5K on the Planet!!! The planet!! The folks on the Color Run website may look like rejects from the Rainbow Brite factory, but they’re all having So. Much. Fun. A sea of white to start. Lest you think this is going to devolve into a rant about big, expensive, soulless running events, it’s not (although the Color Run does fall into each of those categories to varying degrees). I did indeed enjoy being covered with colorful crap, OK cornstarch, even though I didn’t emerge from the melee as colorful as I thought I would, and the wave starts took an eternity (diminishing my fun at the outset). 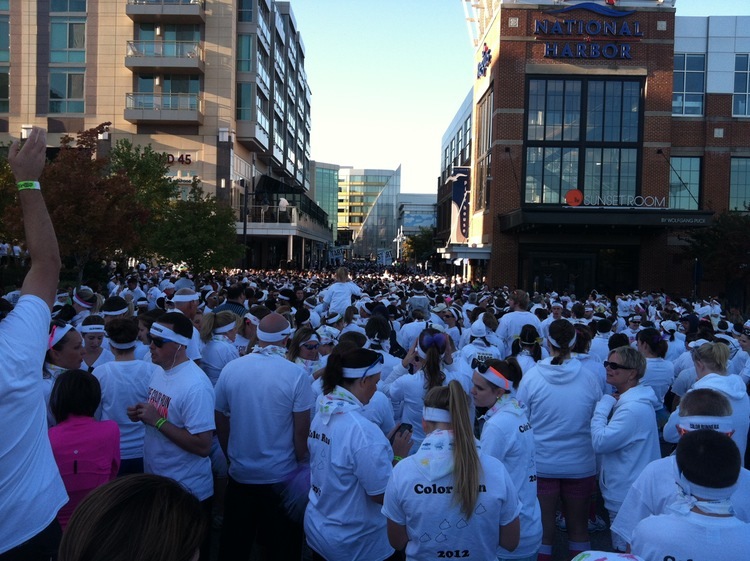 The Color Run is expensive, but it does donate to local charities in each city it’s held in, so there’s that. And it gets people out running who may not normally do it, so there’s that as well. However, mostly what I enjoyed about this event was Hubby’s get-up. When we signed up for the Washington, D.C., Color Run months ago (actually held at National Harbor in Maryland), he declared his intention to do it in a white Root Suit. 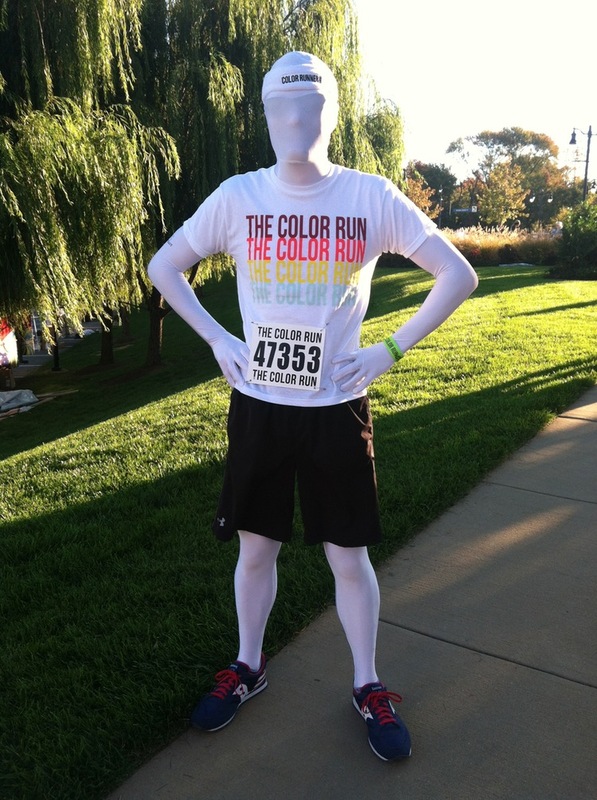 The run suggests you wear white to maximize the impending colorfulness, so, he figured, why not go the full blanc? The headband was a nice touch. I’m surprised more people didn’t join him. Looking back, it seems like the obvious choice. You’re all in white and you don’t get colored crap in your face. Needless to say, he stood out in the crowd. Funny thing was, when the sun hit Hubby’s face, he was all but blind, so we ran this “race” together. We were going to do that anyway as these events aren’t timed, but it became a thing of necessity. He was practically walking we were going so slowly. I, on the other hand, was puffing and red despite doing what I can only imagine were 11.30-minute miles. So. Slow. It was the first time I’d run in two weeks thanks to a combination of my parents being here from Australia and a very angry IT band, and I didn’t want to push it. I managed to get through most of the run, but I had to stop here and there. It was obvious I hadn’t done this running thing in ages. I’d forgotten how! But that’s OK. Thanks to the fact there were no times, the internet will never know how long it took. Besides, you naturally have to add minutes for all the time spent trying to get as much colorful crap on you as possible in the color zones. See, not our fault. All I can say is the person who invented this run is some kind of evil genius. Who likes to do A LOT of laundry. Aftermath. I think most of my color was on my back and sides. The aftermath: We didn’t really stick around for eats; we had parents to entertain! 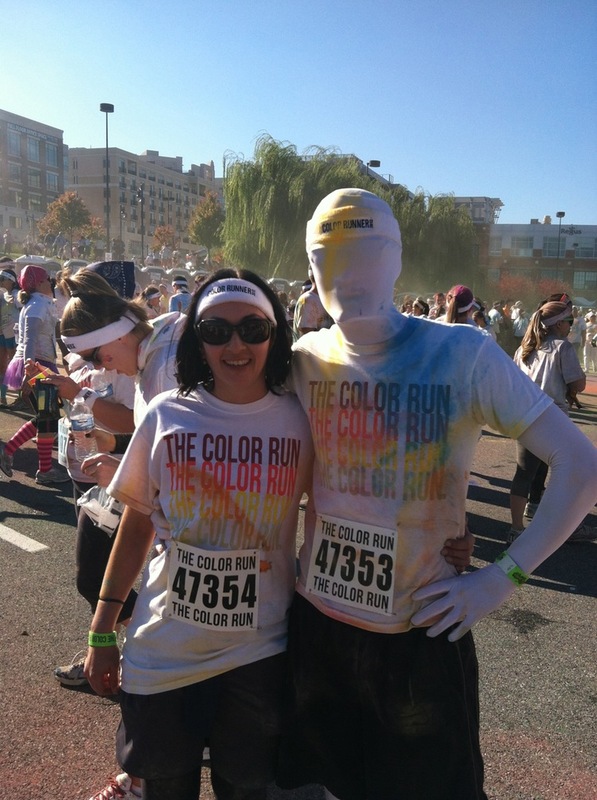 This entry was posted in 52 Weeks, 52 Runs, Fitness, Humor, Running and tagged 5K, Color Run, Washington DC. Bookmark the permalink. Definitely white shorts!! 🙂 Not so sure about me in the suit. 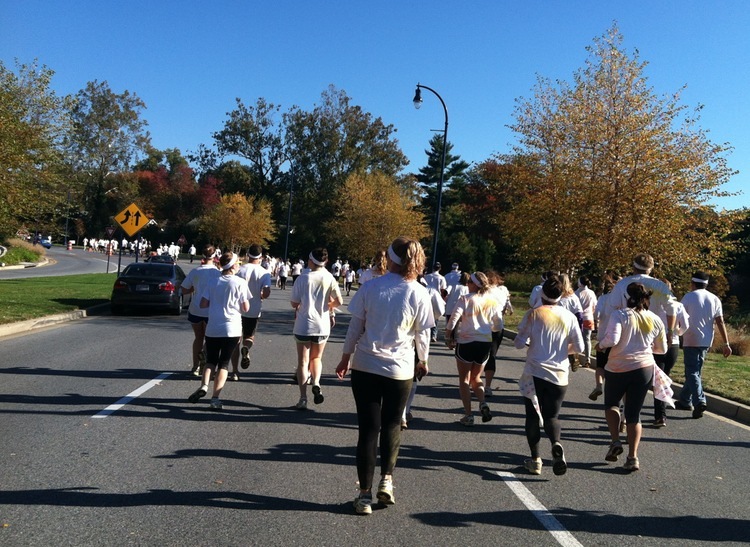 Hey, I did the other D.C. Color Run in early September! I thought that shot of the crowd at the start line looked familiar 🙂 It took me a full hour to get over the start line that day, and there were still people finishing a half hour after me! I couldn’t believe the sheer amount of people. I was worried your IT band was giving you fits when you didn’t post for a while. Glad you’re still out there getting it done! Definitely wear white shorts next time, but leave the white shoes – it’s after Labor Day after all! Been thinking about you. Glad to hear you are feeling better and running again. Thanks!! 🙂 How are you? 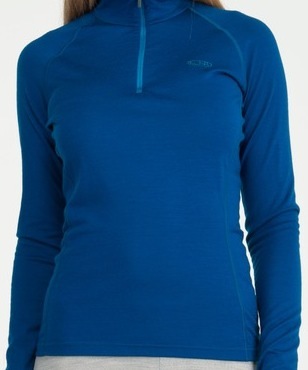 What’s your next run? White shorts for sure! I wish I hadn’t worn my regular sneakers. They’re now covered in yellow! Ha! Not sure about me and the mud! 🙂 Next year, maybe! I heard about the MA version. It took friends of ours two hours to get into the parking lot. Did the same happen to you? They definitely need to work out those kinds of kinks. It is a fun event though! When’s your next run? Love this! So brave of your husband to run in one of those morph suits – I think I’d feel too claustrophobic to run with something completely covering my face. I’d also be worried about not really being able to drink, I’ve seen guys running marathons in them – crazy crazy!